Scribes Delight purveyors of custom writing accoutrements and accessories for over 100 years. Established in 1935, our family run business is the most recent link in a continuous line of family business and is a living legacy to our parents, Herschel and Judy Lange. They dreamt of sharing their ability to find a respite from the sometimes impersonal world by experiencing the thrill of pen to paper. Imagine sharing the meaningful moments in your life by feeling the smooth flow of a classic fountain pen moving across hand milled cotton paper in a distinctive journal, a personal memoir or moving thank you note. Also imagine, your words being read and reread by those you love, generations from now. Your voice will travel in time. The memories of our father writing with his green fountain pen, filled with his favorite green ink are what inspired our love of the written word. Moving to Washington, DC, Scribes Delight was the first to make and consult on Presidential Inaugural keepsakes for presidents such as President Clinton and President Bush. Scribes Delight was also the first to create elegant memorabilia for the National Cherry Blossom Festival elegant memorabilia, and pieces for The National Holocaust Museum, The National Capitol, and other national organizations. Our retail stores, such as our flagship store at Faneuil Hall in Boston, attracted a legendary following for 22 years, where we, amidst a sea of hectic high-tech govnernment and financial offices, offered a quiet refuge from a hectic world. We have been privileged, over the years, to fulfill some very special dreams. One such dream, is a memory book, which we created page by page for hiker Aran Ralston. Each element of the book was hand crafted to fit his unique memories & keepsakes then smyth-sewn and engraved. With the completion of every portion, we felt we were cheering him on. This book became a lasting testimony of his courage and an inspiration during his recovery. Aran's heroic story is timeless. His book was made to last forever, to be shared with his family and the world. It has been an honor to be a part of so many lives. We have created products for luminaries such as Tim Russert, Colin Powell, Paramount Pictures, Aretha Franklin, The Spanish Music Awards, Dolby, and Kevin Costner and many more are part of the Scribes Delight family...become a part of our family too. 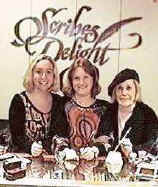 Scribes Delight is a living legacy to our parents Judith and Herschel whose philosophy of sincere hard work, attention and loving care to each piece, and enthusiasm for each customers dreams and needs, has been passed on to us, their daughters. Let us create your dream for you with our custom Guest Books. Albums. Journals. Agendas & Calendars. Amalfi Invitation Papers. Wax Seals & Sealing Wax. Paper Weights, Pens, Business Card Cases, Elite Embossers, Ideal Embossers, specializing in Custom Logo Embossers, Family Crest Embossers & more. 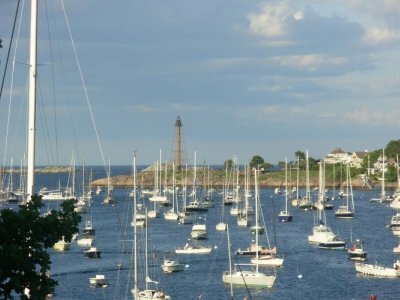 We are located in the scenic, coastal town of Marblehead, MA, just North of Boston. Marblehead is filled with history, architecture and art, where history lives every day. This wonderful environment inspires us with a love of the nature & art around us, a love of recording & preserving our unique memories & culture. We invite you to delight in our inspiration.